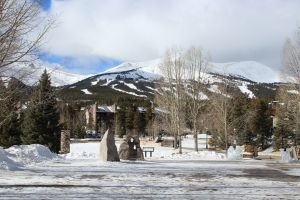 We recently had the opportunity to go (without our daughter) to Breckenridge, CO for a long weekend with a large group of folks for a work event. 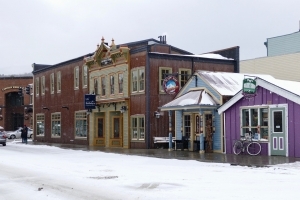 It is a charming and delightful town right at the base of several mountains perfect for skiing or snowboarding. I should probably mention at this point, that winter is really not my thing. More specifically, I generally strongly dislike cold weather and freezing temps. However, speaking as a Southern girl, this trip was perfect. We did extensive research and prepping for our cold weather gear. This included many layers – base layer, mid-layer, outerwear layer and waterproof exterior layer. And, as everyone says, it really is a different kind of cold at the top of these mountains out West. The sun is strong and my layering certainly kept me comfortable. 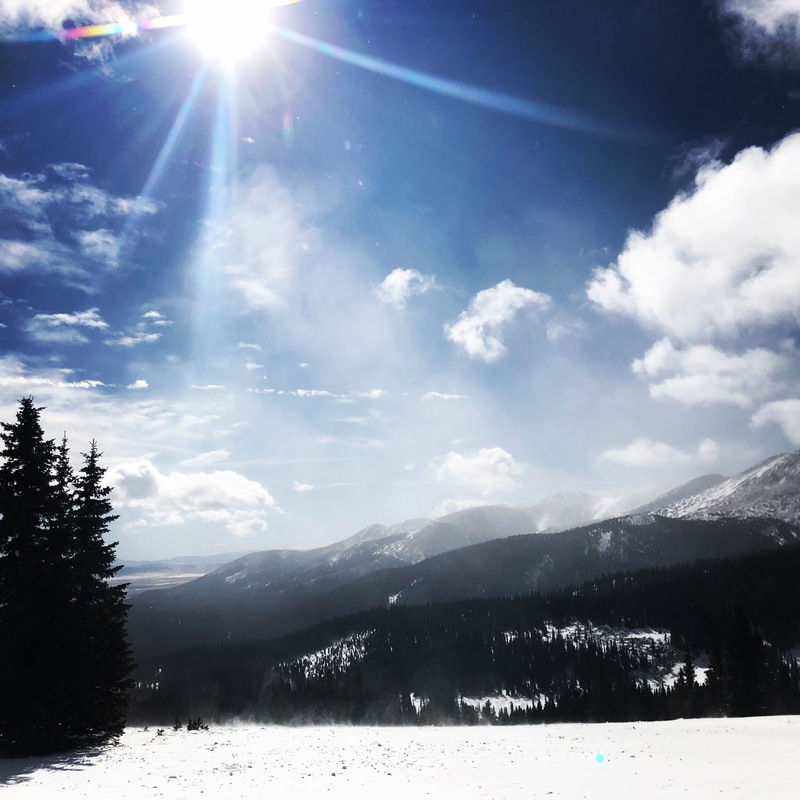 We learned quickly that TBar, at the top of the gondola and the hub of activity for ski lifts and Alpine Coaster, is the epi-center of après ski life. It was always packed! On the weekends a DJ kept the atmosphere fun and energetic, if a bit deafening. It’s not a place to go for deep, private talks anyway though. Service at the long row tables was friendly, but sometimes slow when the place was full. Be ready to order as soon as someone approaches you and be prepared to share space with other folks. My best advice about TBar is to make sure their giant pretzel is on your order. Our group decided it was hands-down the best pretzel we’d ever eaten. We also dined at Ollie’s Pub & Grub, a friendly, American pub with bar area and separate dining area. I swear the place practically saved my life after an Oxygen treatment at the O2 Lounge from which I emerged incredibly hungry and thirsty. I definitely felt the altitude more this trip and can recommend an O2 session. I did a 30-minute session on our second full day after two nights of fitful sleep and suffering a constant dull headache. I did a second session on our last full day for just 15 minutes. I did feel better, but it didn’t have the same intense effect as the first one. After that first one, I think it was the first time I’d been hungry in 48 hours. I read loss of appetite was an effect of altitude, but one I’d certainly never suffered before. Other restaurants we tried were Empire Burger, Sauce on the Maggie and Blue River Bistro. Of those, I highly recommend Empire Burger. Food was great and service was awesome. Check out these other posts for more on activities, lodging and logistics.